Whilst the Sunday XI were taking care of business in Thames Ditton, the Colts’ awards were being handed out at HQ. A good event considering the weather. Approximately 100 turned up, including some brave hungover seniors; Ian Hopton, Shawn Dyson, Dan Gluckman, Tom Frost, Will Frost, James Trower, Max Subba Row, Andy Berry, Jack Raimondo and Charlie Hill. 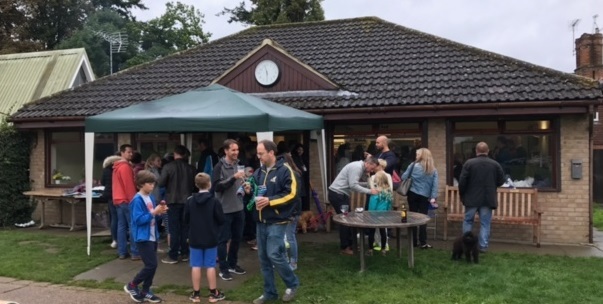 The games were cancelled due to rain, but the BBQ and the bar did a brisk trade. President Finch mingled and handed out the awards. With the Stoke Molesey Ladies kindly re-arranging their match the ground became free for Sunday 3rd September and an opportunity to move Colts Awards from a weekday evening to a weekend. Plans were quickly put in place to run games for the kids before the square is re-laid. The intentions were good but it turned out quite a percentage of parents and children had prior commitments. Still with many acceptances and food delivered, volunteers on rota, we dived in and soldiered on. A morning spruce of the clubhouse led by Drew & Jo had everything ship shape but shortly after the rain started and never really stopped. This didn’t put off a good 100+ parents and children; indeed the kids largely ignored the weather and still played outside. In true Stoke spirit a good time was had by all. The Colts had 30 awards kindly presented by 1st XI Captain James Trower and the new Club President Stephen Finch. Thanks to both for attending and to Drew for welcoming everyone and the introductions. The age group managers Mark Christie, Oli Slipper, Mark Bullingham, Joel Segal, Kevin Morgan & Malcolm Dunn proudly presented their respective squads. 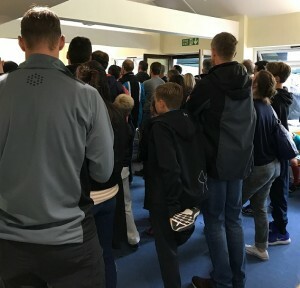 There was an impressive turnout comprising virtually all the 1st X1 players in support of their young club mates, most looking remarkably fresh after the previous night’s end of League season festivities and senior awards. Andrew and Sarah Trower saved the day by bringing a very effective gazebo; huge thanks to Tommy & Andrew, Corbs, Hoppy & Shawn for manning the bar and looking after colts. Thanks to Helen and Olivia Morgan, Helen Sullivan and Jane Thomson for running the BBQ, to Rimple Malhotra for cooking samosas for sale and the lovely U9 Colts mum & daughter combo, (missed their names! ), who also baked cakes for sale. It’s been a fun year and a packed season for the Colts, there are no league titles to report but most teams finishing mid-table, winning more than losing. The high quality of talent in every age group and the enthusiasm of all players is great to see as we look to maximise opportunities for matches. Many of the age groups have increased the social side too with BBQs and inter squad matches and this we will build on next year. 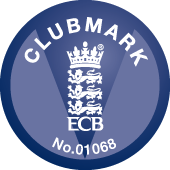 Our younger section are showing healthy numbers, at U8 this allowed us to play in two leagues featuring the Stoke D’Abernon Sixers in one and the Stoke D’Abernon Scorchers in the other no less! It was in the cups where we came closest to silverware, our U10s reaching the semi-final but facing a very strong Wimbledon side. The U11s also had another terrific cup run, reaching the final for the third year in a row, quite a record but Spencer just winning that one in the final over. Meanwhile the U14s made it to the quarter-finals against eventual runners-up Bank of England. Several Stoke players of different ages were invited to play for Star Cricket Academy against the touring Dubai sides. Stoke continue to provide a high number of players to Surrey Performance, inner county and CAG matches. In our older age groups, many of our U14s have experienced senior cricket with guidance and encouragement from the elder players managing this so well. Our thanks in particular to JT, Jase, Rod, Andy P & Andy B for their encouragement. Our continued thanks to Sid, Tim, Tommy and all the Star Academy coaches for the exceptional training they provide for the colts and additionally the extra winter nets and courses sessions they offer. The Colts would not have any matches without the incredible work from Shannon Clinton on membership and the irreplaceable Sarah Trower who has handled all our fixtures so efficiently. Similarly the work that Hoppy & Shawn provide both coaching and groundsman work and also to Jonas for the Parkside pitches. Finally our thanks to Drew and the Committee for all their continued support & guidance for the Colts section.